Homezone Unlock: How does auto unlock work with nello? We asked you, our nello users, about your favorite feature and besides Swipe to Unlock it’s Homezone Unlock. Sure, who doesn’t want the door to open automatically? Your smartphone can simply stay in your pocket and nello one will automatically open your front door for you after a ring at the doorbell. Hence, you don’t have to search for the key or your mobile phone. And since we know that automatic door opening with Homezone Unlock is especially important to you, we are constantly working to make it even better. But how does Homezone Unlock actually work? Especially with this feature, there is quite a lot we have to do in order to make it work properly. Homezone Unlock not only relies on our developer power, but also on certain technologies in your smartphone’s operating system. What does that mean exactely? Since we do not actively track your location, the impact on your smartphone’s battery is minimal. Smart, right? 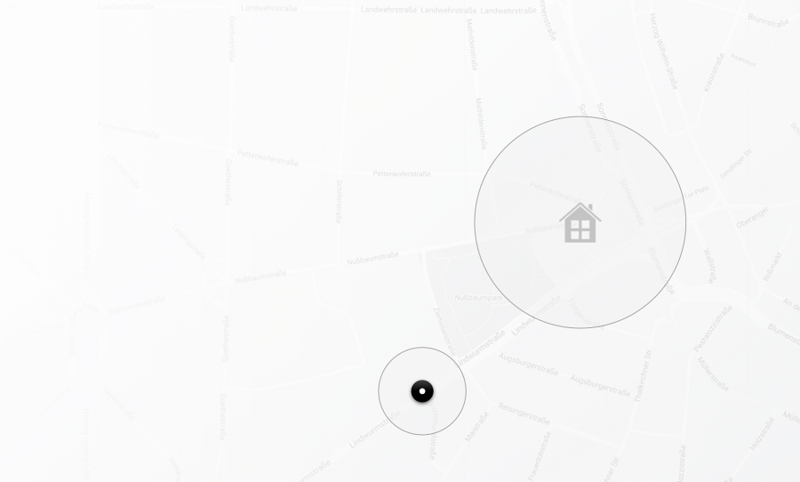 Homezone Unlock is based on your location – your Homezone – and an individual timer. You leave your home (you exit your homezone radius). 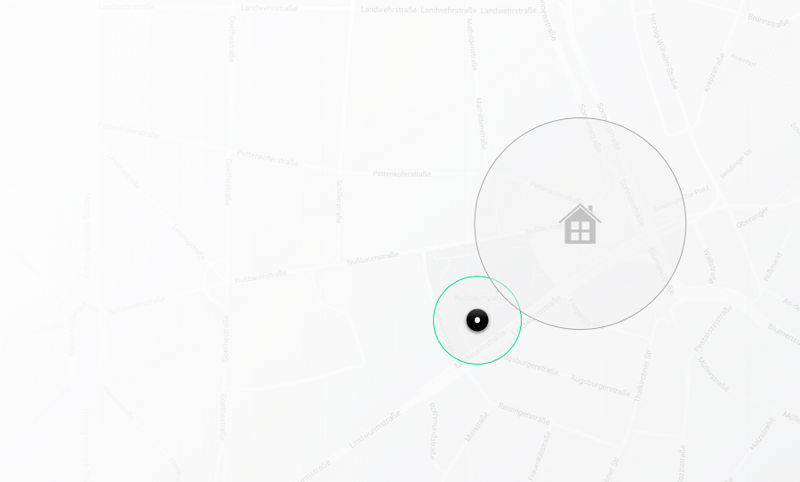 If you exit the radius of your homezone, the system notifies the nello app and deactivates the automatic door opening. And with every exit, the homezone unlock is deactivated regardless of the timer. 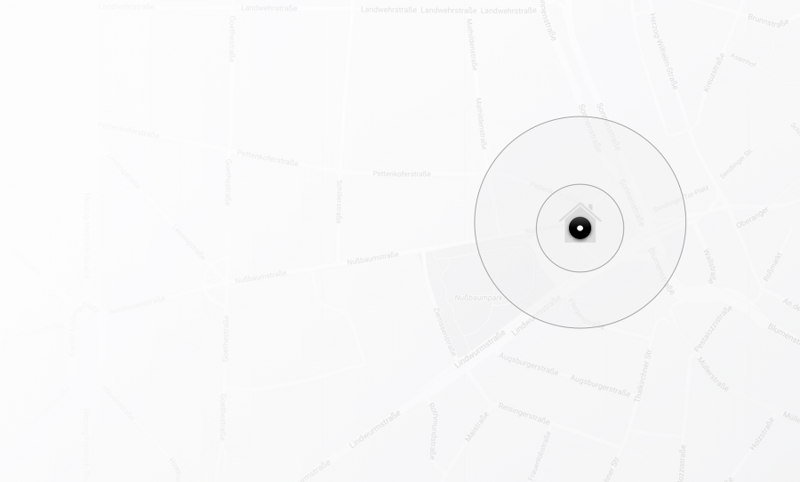 You are not at home (you are not in the radius of your home in your homezone). If you are not at home, the automatic door opening is of course deactivated. .
You are approaching your home. Now it gets exciting – as soon as you enter the radius of your homezone, the system notifies the nello app that you entered and activates the automatic door opening. At the same time nello starts a timer. When you arrive at your front door and ring the bell, your door will open automatically. As soon as the timer has expired, nello automatically deactivates the Homezone mode. 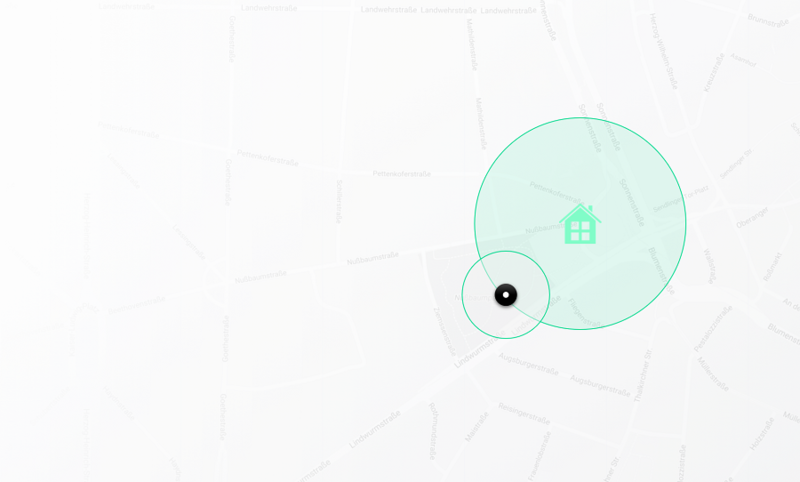 Simply put, the Homezone mode is only activated as soon as you approach your home – and nello automatically deactivates it for you. By the way, you can adjust both variables – your Homezone radius and the timer – independently in the nello app. This way the feature always works optimally for you – no matter if you come home by bike, car or on foot. So what do you need in order to make Homezone Unlock work properly? If you want to check whether Homezone Unlock is activated, you can also check it via the nello app. The small house icon in the app always shows you when Homezone is active. If you have suggestions or feedback, email us at hello@nello.io.